In all kinds of deciduous and mixed forests (except the swampiest), persisting in clearings and fencerows. 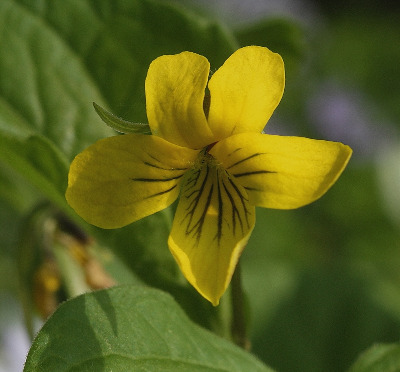 We admit only one extremely variable species here, our only native yellow-flowered violet. Typical specimens of V. pubescens are densely pubescent, usually with only two cauline leaves (appearing opposite) and at most one basal leaf. Glabrous or glabrate plants with three or more cauline leaves and one or more basal leaves are more common have been treated as a separate species under the name V. pensylvanica Michx. or V. eriocarpa Schwein., with the admission of numerous intermediate plants as “hybrids.” The capsules of both glabrous and pubescent plants may be either glabrous or woolly. Those with the glabrous fruit may be called V. pubescens f. leiocarpa (Fernald & Wiegand) Farw. Plants with each fruit type may be found in the same forests. MICHIGAN FLORA ONLINE. A. A. Reznicek, E. G. Voss, & B. S. Walters. February 2011. University of Michigan. Web. 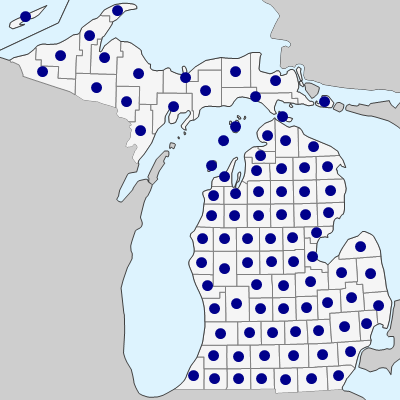 April 24, 2019. https://michiganflora.net/species.aspx?id=2793.